The autumn silly season is upon us. The shops are full of Hallowe’en costumes and goodies, which, as well as ghosts and skeletons include supposedly scary creatures like bats, toads and spiders. I can remember when the first two were indeed considered to be scary and unwelcome, although today they seem to be generally well liked and worthy of protection. Spiders are slightly different, in that fear of spiders is a recognised phobia. This time of the year they are particularly numerous and noticeable, especially when morning sunlight catches the dew drops on their silky webs covering bushes and shrubs. Bringing together their noticeable presence, some people’s phobia of them, and scary Hallowe’en traditions, provides perfect conditions for the recent nonsense of closing schools because of ‘infestations’ of spiders. 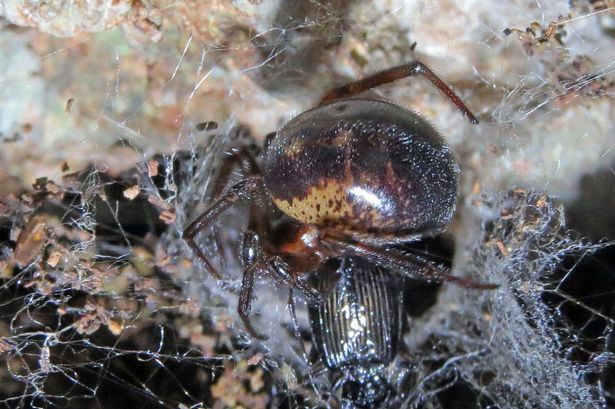 So, instead of being the star of a nursery song, Incy Wincy spider is now demonised as both dangerous to health and the cause of a lot of trouble. This is not the way to present the natural world to children. People in education should both know, and handle situations like this, better.